The past week has seen general and social media consumed with an issue that rarely gets any attention at all – security clearance for Federal employees, ex-employees, and office-holders. As usual, everyone has an opinion. Also as usual, most of those opinions are ill-informed and constructed to fit a political narrative. The cause célèbre of the bunch is that of John Brennan, a career intelligence agent who served from 1980 to 2005 in roles including intelligence briefer to President Clinton and deputy executive director of the Central Intelligence Agency (CIA) under President Bush the Younger. After eight years in private business, he became CIA director for all of President Obama’s second term. As is regular practice for departed members of the intelligence community’s senior management, Brennan retained his security clearance after leaving government service in January, 2017. As is not regular practice for departed members of the intelligence community’s senior management, Brennan has been active in the media, criticizing President Trump and Trump’s self-proclaimed lack of trust in the nation’s intelligence agencies. The running battle between the two has not been beneficial to those agencies, in that Brennan has risen to the bait tossed out by Trump. In a recent column, pundit and National Review editor Rich Lowry succinctly (and accurately) described the war of words between Trump and Brennan thus: “Trump often sounds like the guy popping off down at the end of the bar; he’s transformed Brennan, who is supposed to be the consummate career intelligence official, into the guy down at the other end of the bar.” Brennan has become a player of Trump’s game. One piece of advice handed down from father to son for generations is “Don’t play the other fellow’s game.” Brennan – a man without much experience in being loose-lipped and hair-triggered, has thus turned himself into Trump’s foil, and as a result he looks bad even when he’s right. The president’s latest goad to provoke Brennan has been to revoke Brennan’s security clearance, thus prohibiting him from being allowed access to classified information. Brennan and numerous other current and former intelligence managers have, predictably, responded openly and furiously. They see Trump’s action as not just petty and personal, but also dangerous. Is that in fact the case? By itself, it isn’t dangerous. In principle, revoking an ex-intelligence officer’s security clearance is not a particularly meaningful act. The reason why is apparent only when we elucidate what “security clearance” means in this context. First let us be clear about what security clearance does not mean. It does not mean the person who has such clearance has free access to classified documents or other information. “Access” is another matter entirely. Security clearance is the result of a procedure that investigates and evaluates anyone who may at some time be considered for access to classified information. It is an exhaustive process taking many months. 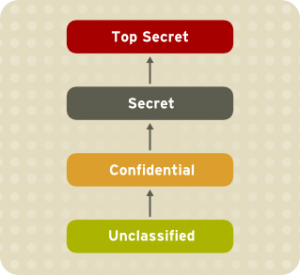 Having a security clearance means the individual is considered trustworthy enough to be shown classified information. It does not mean the individual will be shown classified information, much less that the individual may review classified information on his/her own volition. Clearance is rather like a general license to view classified material. Access is granted to view specific material, and it is granted on a need-to-know basis. You may have all the clearances in the world, but if you are not considered necessary to a specific project, you will not get to see any classified information. Even if you are granted access, you will be allowed to see only the project-specific documents that you are being asked to work on. Thus, having a security clearance does not mean that you can just walk into the CIA, the White House, the NSA, or any other place where classified information is kept and be allowed to see whatever you want. It means that you are eligible – that you have been determined to be valuable enough to be able to provide useful input that may involve the necessity of presenting you with certain classified information, and dependable enough not to leak it. Should a time come when your commentary could be considered desirable, you may be called in and consulted. This may require giving you access to classified information, but that would be only specific information germane to the specific task you are working on. The Federal law governing security clearances may be found here, and the law addressing the procedure for granting/denying access may be found here. The reason security clearances are given is so that, in a time-sensitive business, there is a ready list of people who have been reviewed and cleared for possible access on short notice. Otherwise, each person would have to be cleared – in that long and tortuous process – each time they might be considered for access to classified material. Clearance is not a one-and-done, either; clearances are regularly re-evaluated and renewed. In the specific case of John Brennan and those like him, past senior managers at national intelligence agencies are allowed to keep their security clearances on the theory that their successors may wish to consult them for their expertise and experience. While that is no doubt useful, the historical practice has been that new administrations do not consult ex-managers. The new group wants to do things its way, and normally does not think calling on these former office-holders will be valuable – especially if the new administration is of a different political party. Thus in the final analysis, if the president revokes the security clearance of someone who is no longer working for a national intelligence agency, it doesn’t make a whole lot of difference to national security. Nor does it make a whole lot of difference to the one whose clearance is revoked, especially if s/he does not plan to return to service. Thus the current brouhaha over who keeps their clearance and who does not has little to do with national security. It is a political quarrel, with the president seeking to demean and silence those who might oppose him and to denigrate the intelligence services and the “Deep State.” On the other side is a man whose indignation makes him look petty and makes the agencies he once worked for look like they are against the president. So, if the continuance of John Brennan’s security clearance doesn’t make a meaningful difference to the conduct of national security or to Brennan’s current work, why is it worth fighting about? The answer is that using clearance as a weapon politicizes national security. Career intelligence officers don’t get into that business because they want attention and glory; normally there isn’t any. They do it because they believe it is a career in which they can protect the interests of the United States. They do not expect – and do not want – permanent bosses or permanent friends, only a single permanent interest. That interest is their country. Previous Previous post: WHAT ARE EMOLUMENTS?